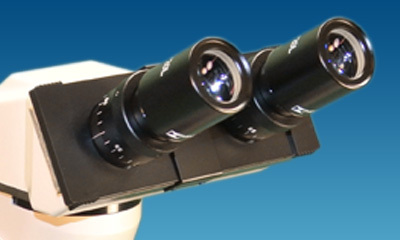 The Meiji Techno ML2200 Binocular Brightfield Biological Laboratory Series is one of our most rugged fully equipped microscope systems from Japan with an attached mechanical Stage. It offers many high performance features and a stable rectangular base for stability. High resolution DIN Standard SM Plan objectives offer crisp, clear, high contrast images and are offered as part of the standard package. 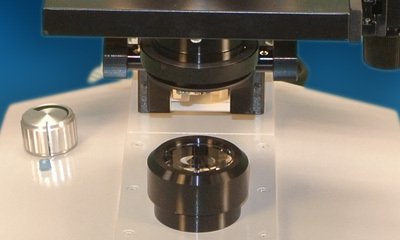 A built in integrated Koehler illuminator with a field iris and 6V 30W Halogen lamp and variable intensity control is provided standard equipment to complement the SM PLAN optics. A green monitor lamp is lit to indicate that the lamp is on for easy on/off recognition in any laboratory setting. The low voltage, high intensity, pre-centered halogen lamp provides high level illumination can be adjusted to maximize the evenness of the bulb illumination and is readily accessible for a quick bulb replacement. 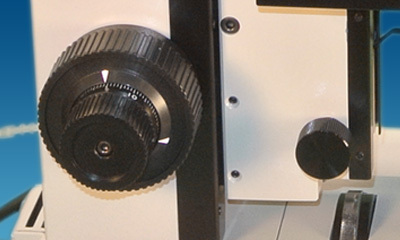 The ML2200 Series also features a specially designed Achromatic N.A. 1.25 condenser with iris diaphragm and filter carrier. The die cast metal stand has a chemical resistant finish and is the most rugged, durable finish in the market today. Equipped with low position factory calibrated coaxial coarse and fine focus controls, tension adjustment and a built in stage stop lever to protect the specimen and objectives from accidental damage during use. The ML2200 Series Laboratory Biological Microscope is a versatile and modular system designed to accept a wide variety of optional accessories and is backed by Meiji Techno’s Limited Lifetime Warranty. The simplest of all the optical microscopy illumination techniques. Sample illumination is transmitted (i.e., illuminated from below and observed from above) white light and contrast in the sample is caused by absorbance of some of the transmitted light in dense areas of the sample. 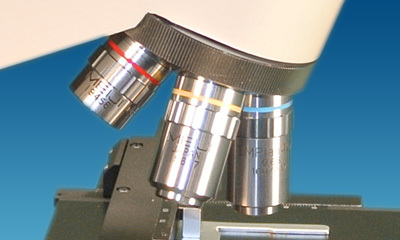 Brightfield microscopy is the simplest of a range of techniques used for illumination of samples in light microscopes and its simplicity makes it a popular technique. 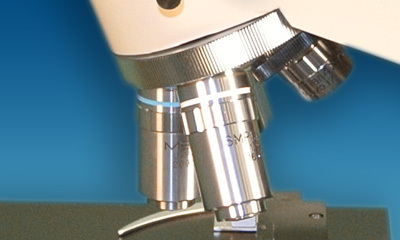 The typical appearance of a brightfield microscopy image is a dark sample on a bright background. The ML2200 Series has a Koehler Halogen 6V 30W illumination with forward facing quintuple ball bearing nosepiece. High resolution DIN Standard SM Plan objectives offer crisp, clear, high contrast images and are offered as part of the standard package. A built in integrated Koehler illuminator with a field iris and 6V 30W Halogen lamp and variable intensity control is provided standard equipment to complement the SM PLAN optics. The low voltage, high intensity, pre-centered halogen lamp provides high level illumination can be adjusted to maximize the evenness of the bulb illumination and is readily accessible for a quick bulb replacement. With a rectangular attached mechanical stage. • ML2200: The ML2200 is a Brightfield Binocular Laboratory Compound microscope with Koehler Halogen 6V 30W illumination with forward facing quadruple ball bearing nosepiece. High resolution DIN Standard SM Plan objectives offer crisp, clear, high contrast images and are offered as part of the standard package. A built in integrated Koehler illuminator with a field iris and 6V 30W Halogen lamp and variable intensity control is provided standard equipment to complement the SM PLAN optics. The low voltage, high intensity, pre-centered halogen lamp provides high level illumination can be adjusted to maximize the evenness of the bulb illumination and is readily accessible for a quick bulb replacement. Rectangular attached mechanical stage with 75mm (X) and 40mm (Y) movement with adjustable slide holder Graduations and vernier reading to 0.1mm. Ergonomically placed comfortable low positioned coaxial controls. 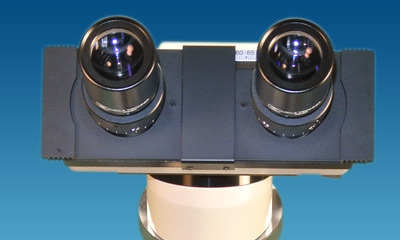 Available with standard binocular heads or trinocular heads for photomicrography, 30° inclined eyetubes with adjustable diopter settings and interpupillary distance, 360° rotatable. Paired DIN KHW10x, FN 20. Smooth-operating, ball bearing mounted, quadruple nosepiece. S. Flat Achromats, SM Planachromats, Planachromats, or Phase Contrast. Attached mechanical stage: 120mm x 140mm surface with 75mm (X) by 40mm (Y) movement, graduated with vernier readings to 0.1 mm, drop-down right or left-handed controls. 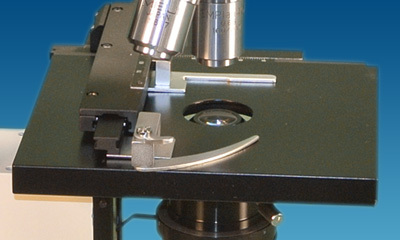 Flat-top stage: 171mm x 140mm surface with 80mm (X) by 52mm (Y) movement, graduated with vernier readings to 0.1 mm, detachable specimen guide, drop-down right of left-handed controls. Standard models have either an Achromatic NA 1.25 condenser with iris diaphragm and filter tray for brightfield work, simple NA 1.25 slider phase condenser, or an NA 1.25 Zernike phase condenser with filter tray and independently centerable annuli for phase contrast. Cardioid-type NA 1.25 darkfield condenser for high power (100x objective only) darkfield work is optional. Built-in, 6V 30W, variable-intensity Koehler illumination for apertures up to 1.25.